These logons do not resize well, each one is custom made for the relevant resolution due to my attempt to tie-in the userpanel to the background. Also, due to the textural complexity of the images the file size, even when zipped, is on the large size hence my decision to upload each resolution seperately. Outstanding! Just keep it up. so tiggz, whats the plan, i see you are making future chrome killer, which looks great...is there gonna be a windowblind version for this also? or are you still working on the one you have on your shot? plan?! haha, that's a good one! well, no plan as such, or rather I have plans but there is no grand strategy behind them. Basically, I took time off from doing alot of other things to do these techno walls/logons, because it was a good graphic adventure and a total break from what I had been doing (alot of dxscripting mainly). 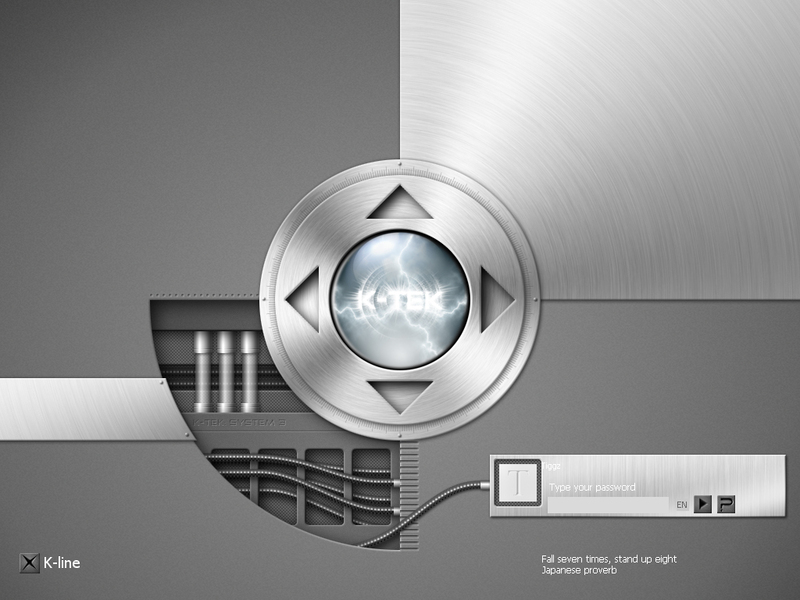 Hopefully, once I get a few of these outstanding projects completed I can start work on another windowblind which I would quite like to have a hi-tech look - whether that is based on K-TEK or my GT sys sysmetrix skin I really don't know. You are the man Tiggz..Great work as always.